Over the past couple of years, bushy, feathery, and bold brows have come back into fashion. Unfortunately, if you have naturally sparse brows, or if you made the mistake of over-plucking them in your youth, it can be very difficult to fake your way into modern brow trends, even with the fanciest of brow pencils, powders, pomades, and gels. Eyebrow growth products that stimulate your actual hair follicles, giving you the naturally full eyebrows that you’ve always dreamed of! if your searching for a great eyebrow growth product that actually works, from my personal experience the Hairgenics Lavish Lash – lash and Brow Serum is the one you need. There are many eyebrow growth products on the market, but it is not easy to find the ones who work! 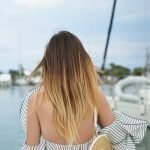 In this article, I will share the top best eyebrow growth products which actually can make your brows look their best! Grande Cosmetics’ GRANDEBROW is one of the most popular and effective brow enhancing serums on the market. Its powerful blend of ingredients promises to give you noticeably fuller, thicker, and bolder brows in 6 to 8 weeks! 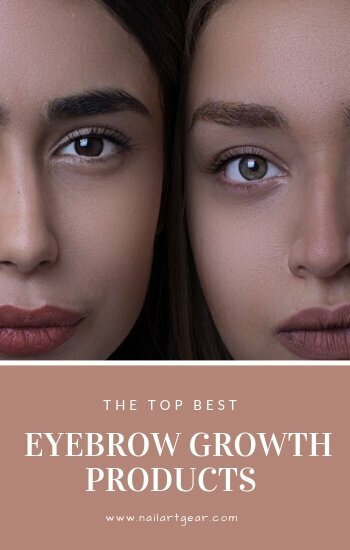 GRANDEBROW features an exclusive mixture of powerful brow-growth ingredients, like amino acids, hyaluronic acid, ginseng, chamomile, bearberries, and glycosaminoglycans. These ingredients work together to build, hydrate, condition, and strengthen your existing brow hairs and promote the growth of new hairs! GRANDEBROW is also extremely easy to use! Each evening, use the brush-tip applicator to apply a thin layer of serum over your naked brows, concentrating the formula on any sparse or bald spots. After about 4 months, you’ll see an incredibly dramatic improvement in your brow fullness, thickness, and softness! GRANDEBROW is ophthalmologist-tested and approved, which means it’s 100% safe to use on the delicate skin around your eye and brow area. Plus, it’s cruelty-free and PETA-approved, which means that neither the ingredients nor the finished product never tested on animals! 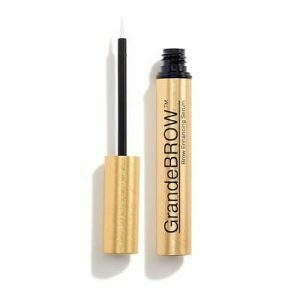 GRANDEBROW is a cult favorite brow serum with incredible reviews. Your eyebrows will transform from sparse, thinning, and borderline nonexistent to full, busy, feathery, and bold in a matter of weeks! If you’re tired of having short, stubby, sparse lashes and patchy, balding, thinning, or over-plucked brows, Hairgenics Lavish Lash is the perfect product for you! It works double duty, promoting growth in your eyebrows and eyelashes, giving you the length and fullness you’ve always wanted! Lavish Lash uses powerful ingredients like ginseng, Swertia japonica extract, and biotin to promote hair growth on your eyelashes and eyebrows. These ingredients are naturally derived from plants and are also completely hypoallergenic! Lavish Lash is also very easy to use! For your lashes, apply a thin layer to the base of your clean upper and lower lash line each evening, as though you were applying eyeliner. For your brows, apply a thin line over your clean eyebrows each evening! Because lashes and brows are the slowest-growing hairs on the body, it’s recommended that you use Lavish Lash for at least 60 days in a row to see optimal results. After about 2 months, you’ll notice a revolutionary difference in the length and thickness of your lashes and brows! 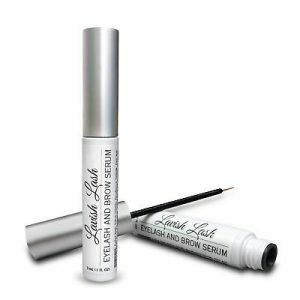 This lash and brow serum is like a little miracle in a bottle! After just 1 or 2 months, you’ll notice your eyelashes and brows growing so long and thick that you won’t even need to use makeup to enhance them anymore! This powerful eyebrow serum works to condition, hydrate, and grow your eyebrow hairs, taking you from sparse, thinning, patchy brows to full, bushy, feather brows in a matter of weeks! 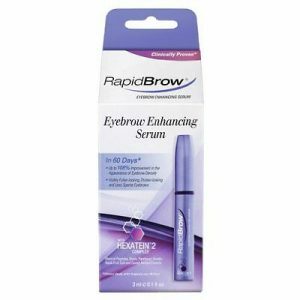 RapidBrow utilizes an exclusive Hexatein 2 Complex, which combines ingredients like polypeptides, biotin, panthenol, keratin, apple fruit cell extract, and sweet almond extract to create voluminous, healthy, youthful, soft, sheen-y brows! RapidBrow is incredibly easy to use! Just brush the applicator over your clean eyebrows twice a day, morning and night. It can totally be used under your regular eyebrow makeup. In fact, its conditioning ingredients help set and tame your natural hairs to prep them for your favorite pencils, powders, pomades, and gels! In addition to being effective and easy-to-use, RapidBrow is ophthalmologist and dermatologist tested, safe for contact wearers, fragrance-free, paraben free, and cruelty-free! People everywhere have had amazing experiences with RapidBrow. After just a few months, you’ll notice your eyebrows repairing damage from years of over-tweezing, threading, and waxing. Finally, you’ll be confident enough to go about your daily life without wearing a stitch of eyebrow makeup! This powerful natural eyelash and eyebrow growth serum promises to deliver incredible results that reverse the growth-diminishing effects of aging, stress, hormones, chemical exposure, and sun exposure. 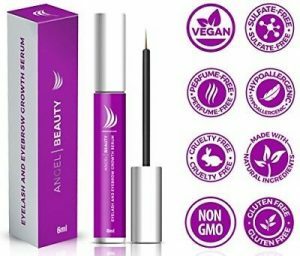 This brow and lash growth serum is full of 100% natural, non-GMO ingredients that are tested and proven to improve the strength and health of your eyebrows and eyelashes. Its formula is clinically tested to be effective on your eyelashes and eyebrows! This serum is also incredibly easy to use. Apply a thin layer to the roots of your clean, makeup and skincare-free eyelashes twice a day, once in the morning and once at night. Then, take a clean mascara spoolie and brush the serum through your lashes from root to tip. For your brows, brush a thin layer of serum across your clean eyebrows twice a day. You’ll notice results in the thickness and length of your eyebrows and eyelashes in as little as 4 weeks. In about 8 weeks, your brows and lashes will be at least 55% longer and thicker than they were at the very beginning of your growth serum regiment! 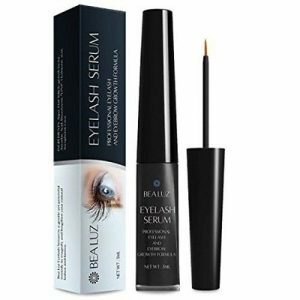 This lash and brow serum have earned rave reviews for its effectiveness and ease of use. If you’re looking for a product that works double duty to improve the overall appearance of both your eyebrows and your eyelashes, this is the perfect serum for you! This powerful eyebrow conditioner was physician-developed to reverse the signs of eyebrow aging due to environmental stressors, over-plucking, and chemical exposure, and to promote the growth of full, healthy, youthful-looking eyebrows. The RevitaBrow conditioner features BioPeptin Complex, a proprietary blend of powerful ingredients like peptides, biotin, green tea extract, and panthenol, all of which strengthen your individual eyebrow hairs and promote the growth of new hairs! 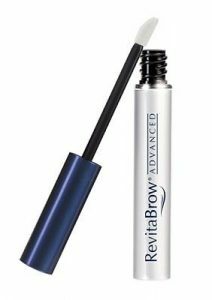 RevitaBrow Eyebrow Conditioner is incredibly easy to use. Once a day, use the handy doe-foot applicator to apply a few strokes of product onto your clean, dry eyebrows. If you’re using this product under makeup, make sure that the conditioner has dried completely before applying anything on top of it. This brow serum is ophthalmologist formulated, dermatologist approved, vegan, cruelty-free, phthalate-free, and made in the USA. Plus, it’s a 5-time Allure Best of Beauty Award winner in the brow category. So many people rave about RevitaBrow Eyebrow Conditioner for rescuing their brows from a dire, sparse existence. It does an incredible job of protecting existing hairs and promoting new growth, creating bushy brows out of the sparsest, patchiest of brows. This natural, incredibly effective growth serum works equally well on both eyelashes and eyebrows, transforming them from a sparse, stubby, patchy state into the full, voluminous, long lashes and brows that you’ve always dreamed of! The ingredients in this serum are 100% naturally-derived. 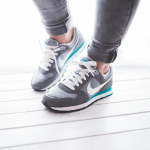 They include vitamin E, polygonum polysaccharide, palmitoyl hexapeptide-25, and allantoin. These powerful ingredients work an all skin and hair types and work hard to protect your existing lashes and brow hairs while promoting the growth of new ones! To apply this serum, just brush a thin amount across the roots of your upper eyelashes, lower eyelashes, and the hairs of your brows, making sure that your eye area is clean, dry, and free of any makeup or skincare products. It couldn’t be easier! 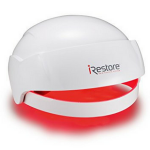 After only 2 weeks of use, this product is clinically proven to start yielding results. After 6 weeks of use, people saw up to a 55% increase in the length and volume of their eyelashes and eyebrows! 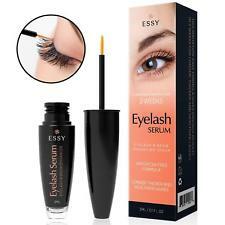 This eyelash and eyebrow growth serum is amazing for giving you extraordinarily long lashes and brows without causing one bit of redness, itching, or eye irritation. If you have sensitive eyes or skin, but still want perfect lashes and brows, this serum is perfect for you! This serum works on both eyebrows and eyelashes, penetrating the outer layer of each hair follicle to promote growth and volume from the inside out! Even if your lashes and brows are sparse and stubby, this serum will make them long, full, and voluminous! After just 2 weeks of use, 50% of users noticed a visible improvement in the overall length, volume, and quality of their eyebrows and eyelashes. After 6 weeks of continual use, users noticed at least a 55% improvement in the volume of their brows and lashes! This product couldn’t be easier to use. After washing your face, use the brush applicator to spread a thin amount across the roots of your upper and lower lashline and your eyebrows. Then, use a tissue or cotton pad to blot your eye and brow to remove any excess serum. This serum is hypoallergenic, clinically tested, and is formulated to avoid eye and skin irritation. Plus, if you use it in the morning, the formula acts as a primer for all of your lash and brow makeup products! This brow and lash serum have earned amazing reviews from people who have spent years looking for a product that would actually make a difference on their eyebrows and eyelashes. If your brows and lashes are very sparse, this serum will give you the full, thick follicles you’ve always wanted! This super-effective eyebrow growth serum promises to radically transform the state of your brows, taking them from sparse and patchy to full and voluminous in a matter of weeks! It’s the perfect solution for anyone with thinning or over-plucked eyebrows! The statistics of this brow serum are unbelievable! After 10 weeks, 95% of users saw overall improved brow appearance. 93% saw healthier-looking brows. 93% felt that their brows were stronger. Finally, 97% of users saw overall more attractive-looking brows after 10 weeks! This serum is meant to be used at night after removing all of your makeup. Just apply one stroke of product to each of your clean and dry eyebrows and let the serum dry. It couldn’t be easier! 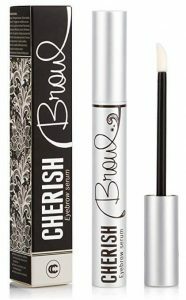 The Cherish Brow formula is natural and full of vitamins. Plus, it’s free of parabens, phthalates, oils, SLS’s, PEG’s, and gluten. Finally, it’s 100% vegan and cruelty-free! So many people love this brow serum for promoting full, healthy, voluminous brows. People who struggle with hair loss on their eyebrows have even noticed a decrease in the amount of individual hairs that fell off of their eyebrows! If your eyebrows are naturally very sparse, this serum is perfect for you! This powerful, effective eyelash and eyebrow growth serum uses powerful, naturally-derived ingredients to stimulate hair growth and protect your existing hairs, making it one of the most effective serums on the market! This serum is chock-full of incredible ingredients, including keratinocyte growth factor, Irish moss, turmeric, yarrow, spirulina, jojoba oil, witch hazel, aloe vera, and ocean mineral complexes. These ingredients promote hair growth, hydration, and cell proliferation! This serum is intended to be used twice a day, morning and night. Apply a small amount to your clean lashes, starting at the root and working up. Then, apply a thin layer to your eyebrows. 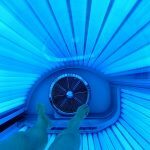 You’ll notice results in as few as 3 weeks! In addition to being full of amazing ingredients, this formula is also vegan, cruelty-free, perfume-free, hypoallergenic, sulfate-free, gluten-free, non-GMO, and made with natural ingredients! This serum is perfect for people with sensitive skin or eyes who are still looking for the brows and lashes of their dreams. If you’re sensitive to harsh chemicals, perfumes, and ingredients like gluten, this serum is a great way to achieve perfect lashes and brows without experiencing irritation. 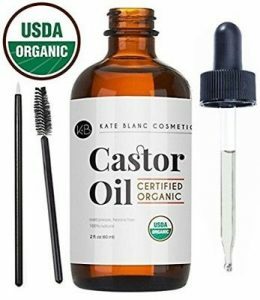 If you’re looking for a gentle, all-natural product that promotes eyelash and eyebrow growth without resorting to harsh chemicals, castor oil is a perfect, tried-and-true product for you! This castor oil is USDA certified, authentic, pure, natural, cold-pressed, cruelty-free, and hexane-free. You can rest assured knowing that you’re receiving an authentic, organic, natural product that doesn’t have any artificial fillers or chemicals! This castor oil comes with a dropper, brush, and spoolie, which allows you to apply it to your eyelashes, brows, nails, skin, and even as a mixer into your favorite natural shampoos and conditioners. Castor oil is known to promote growth and health in your eyebrows, eyelashes, and fingernails. 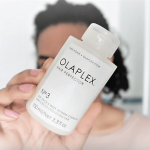 Plus, it can be used to combat acne and scarring when mixed in with your favorite skincare products, and it can help reduce dandruff and scalp irritation when used with your favorite shampoos and conditioners! This castor oil is a gentle, natural alternative to expensive, harsh, chemical-laden growth serums. 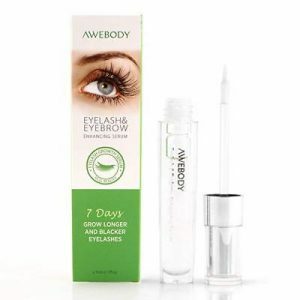 It works just as effectively as other brands of lash and brow growth serum, but it’s much more natural and affordable! How do I get my eyebrows to grow back? If your brows are too thin or sparse after over-tweezing, waxing, or threading, you’re probably wondering how you can get your brows to grow back. It’s a good idea to invest in a brow serum to help strengthen your brow hairs and help new hairs grow faster. Also, avoid tweezing, plucking, cutting, or threading your eyebrows for a few months to let your natural brows grow all the way back. Do eyebrow growth serums really work? Not all brow serums are effective for everyone, but most dermatologists generally agree that products that feature peptides and anti-inflammatory botanical ingredients are the most effective across the board. No brow serum will work overnight, so the most important thing to keep in mind is that you need to use the product consistently, every single day, for at least a few weeks before you see results. What ingredients help grow eyebrows? Peptides are some of the most powerful ingredients for growing eyebrows. 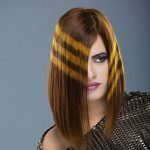 They encourage hair growth and promote healthy hair follicle activity, so over time, they can help your eyebrows grow full, bushy, and voluminous. Biotin is also a very powerful ingredient for eyebrow growth. Botanical ingredients like essential oils and vitamins are good for conditioning and strengthening your existing brows, but aren’t that great at promoting new hair growth. What is the best product to grow eyebrows? If you’re really desperate to grow your eyebrows back, you might want to contact your doctor for a prescription brow serum. 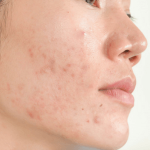 These serums feature topical hormones that have a powerful effect on your brow growth, but they can also dry out your skin, discolor the skin around your eyebrows, and irritate your eyes. Over-the-counter serums are your next best bet, and they’re often much gentler on the rest of your body. How to speed up eyebrow growth? The most important thing to speed up eyebrow growth is to resist the urge to pluck or tweeze your brows. The more you tweeze, the slower your brows will grow. Investing in an OTC brow serum can also help speed up eyebrow growth. Finally, taking dietary supplements that contain iron, biotin, and vitamin B12 can help promote faster eyebrow growth! We hope you found our Best Eyebrow Growth Products article useful. Do you want us to review any other Eyebrow Growth Products?